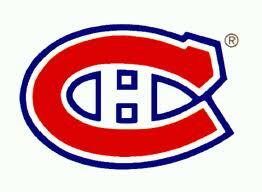 Some hockey fans in Canada will certainly be disappointed that the Montreal Canadiens won’t meet the Toronto Maple Leaf in the first round of the playoffs, but that’s not going to happen, in the first round at least, as the Habs will face the Ottawa Senators. The close division rivals will face each other for the first time ever in the playoffs since the arrival of Ottawa in the NHL in the early 1990s. This series will probably turn into an epic goaltending battle and low-scoring affairs between two of the league’s strongest netminders in Craig Anderson and Carey Price. Both teams had successful regular seasons for different reasons. The Canadiens, who finished dead last in the Eastern Conference in 2011-12 and went through a complete overhaul of their off-ice personnel in the off-season, managed to win the Northeast division when the Boston Bruins stumbled against those same Senators last night. As for the Senators, they were tormented by serious injuries to key players, but they never lost faith or intensity under Jack Adams trophy candidate Paul MacLean. 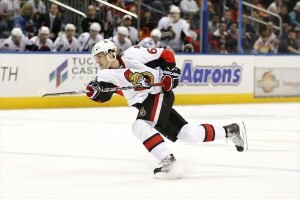 Erik Karlsson, Jason Spezza, Craig Anderson, Milan Michalek and Jared Cowan all missed significant time due to injury. The Canadiens and Senators split four games this season, with both teams winning one game in regulation and one game in a shootout, which gave each team five points (2-1-1 record) in the season series, both teams winning their games on home ice. Overall, the Canadiens finished with a 29-14-5 record earning 63 points in 48 games, while the Senators posted a respectable 25-7-6 record for 56 points during the lockout-shortened campaign. The Canadiens finished with the third best offense in the NHL, scoring 149 goals, or 3.04 GF/G, in comparison to the 116 goals, or 2.33 GF/G, the Senators managed to score. On defense, the Senators were dominant, allowing the second fewest goals in the league with 100 goals, or a 2.08 GA/G, compared to the 124 goals, or 2.58 GA/G, allowed by the Canadiens. 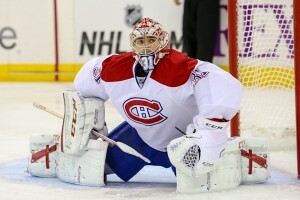 On paper, the Canadiens have the best team, but we all know that surprises can happen and this series is no exception, yet, let’s have a look at the strengths and weaknesses of each team. Defensive corps The Canadiens boast two of the best offensive-minded defensemen in the NHL with PK Subban (11 goals and 27 assists for 38 points in 42 games) and Andrei Markov (10 goals and 20 assists for 30 points in 48 games), while the Senators can count on the return of a healthy Erik Karlsson, the 2012 Norris Trophy winner, who is back from a serious Achilles injury that forced him to miss most of the shortened season. 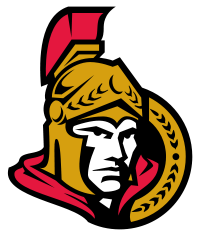 Both defensive brigades boast a solid group of defensemen that provide leadership and experience on the blue line, Josh Gorges and Francis Bouillon for Montreal, and Sergei Gonchar and Chris Phillips for Ottawa. With similar offensive punch of the power play and great defensive prowess on the man advantage, both teams match evenly in this department. Edge: None Forward lines The injury to Jason Spezza has left head coach Paul MacLean scramble for offense, which has been the most obvious shortcoming for the Senators this season: the team only had four players with 20 points or more (Alredsson, Turris, Conacher and Zibanejad) this season. 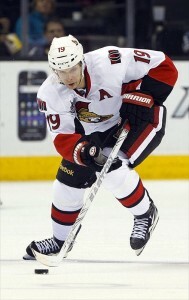 Injuries to Milan Michalek and Guillaume Latendresse have hampered Ottawa’s offensive production from its forwards all season long, but now that both have returned, and with the addition of rookie Cory Conacher acquired at the deadline, the Senators can count on a more balanced group of forwards. On the other hand, the strength of the Canadiens and head coach Michel Therrien has been their ability to consistently roll three productive lines all year long. Eight forwards with 25 points or more for the Bleu Blanc Rouge, including über-talented rookies Alex Galchenyuk and Brandon Gallagher. Rene Bourque would certainly have made it nine if he had not missed 21 games because of a concussion. Overall, the Canadiens will benefit from their balanced line-up, especially since they don’t have a clear-cut first line, which makes it harder for the opposing coach to match up his defensive specialist against the Habs’ top weapons. Special units The power play of the Canadiens has been deadly at times because of the dynamic duo of Andrei Markov and PK Subban on the point, who have combined for 49 points on the man advantage, helping the Habs’ PP to produce at a 22.4% rate, good for 9th in the NHL. As for the Senators, they have struggled all year on the power play, especially with Karlsson out of the line-up, producing at a paltry 15.8% clip, good for 24th in the league. As for the penalty kill, Ottawa was the best team in the NHL this season, killing penalties at an excellent 88% clip. On the other hand, the Canadiens struggled with a man down, finishing 23rd with a dismal 79.8% rate, costing them more than one game down the stretch. A good measure to assess the quality of a team’s special units is to add both percentages and come to a rate better than 100%. For Ottawa, the rate comes down to 103.8% with is very good. As for Montreal, it is slightly inferior at 102.2%.